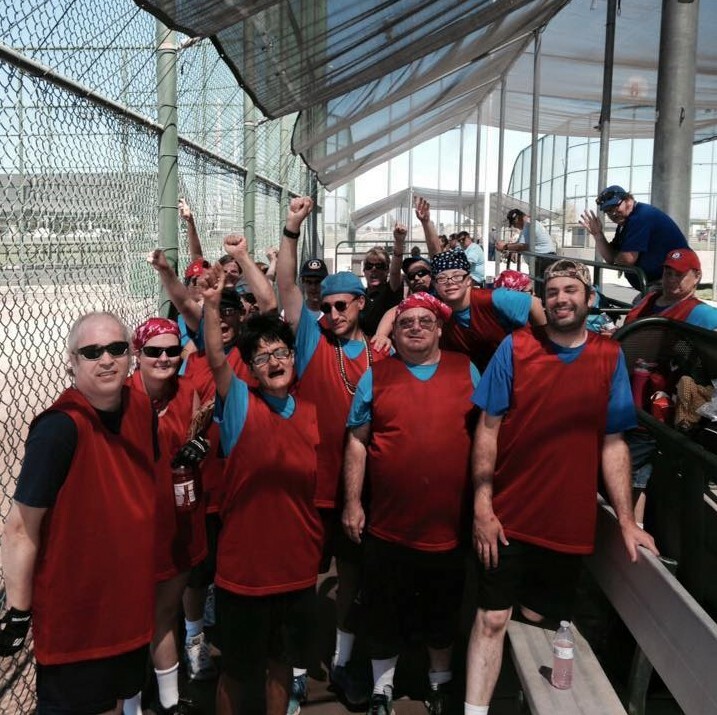 The Spokane’s Wolfpack is an adult Special Olympics team. It was founded by Dixie and Pat Costigan in 2008. 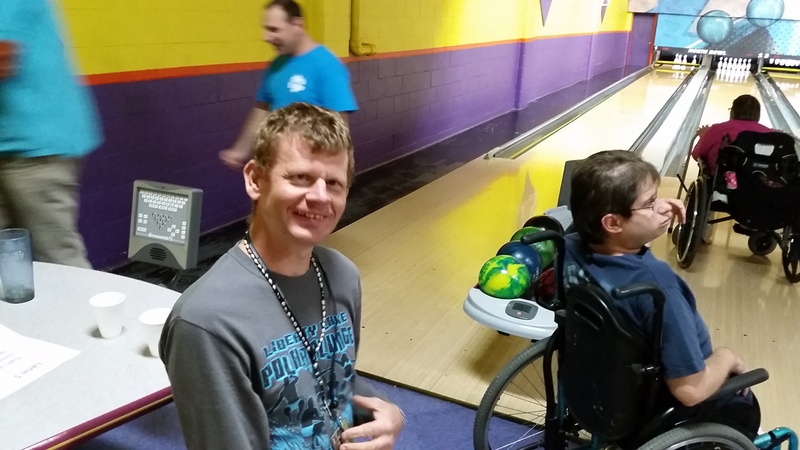 Initially, the team participated in Bowling and had a small number of athletes. From Pat and Dixie’s start and volunteers following the program, the team has grown and is now one of the largest Special Olympics teams in Washington! The athletes participate in Softball, Bowling, Basketball, Track & Field and Soccer. Basketball is one of Spokane Wolfpack’s most popular sports! The Wolf Den hosts weekly practices from November to March for every spectrum of skills, from individual skill development to a unified (athlete-partner) team. The athletes have various opportunities to compete against local and regional teams, hosting rival teams and traveling to Cheney, WA and Pullman, WA. 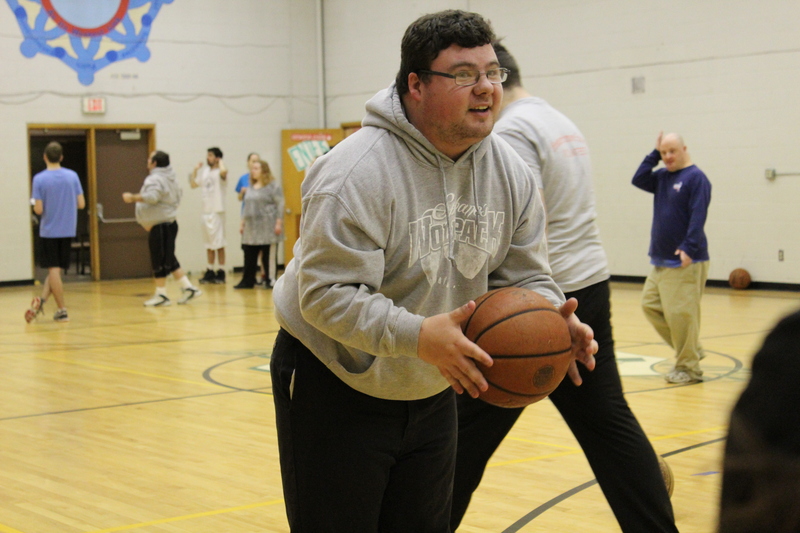 At the end of the season, the team loads buses to Wenatchee, WA to experience a weekend of basketball as part of the Washington State Winter Games. 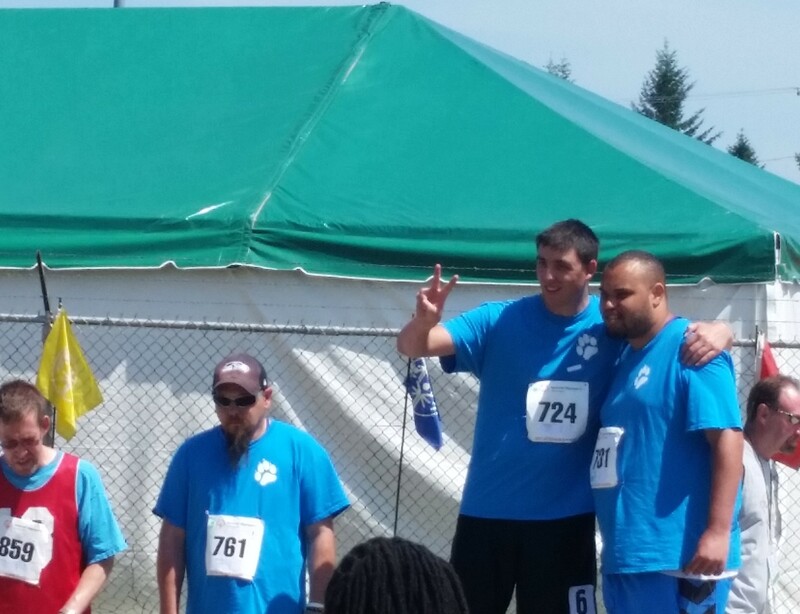 The track and field season runs from mid-March to the end of May and culminates in the Washington State Summer Games at Fort Lewis-McCord Military Base. Athletes prepare for competitions in weekly practices, focusing on overall fitness, mobility, coordination, and fun! Events available for athletes to participate in include running, walking, softball throw, shot put, and jumping events. Soccer is new this year! If we have enough interest, athletes on Spokane’s Wolfpack can play soccer! The season runs in the spring and culminates at the Summer Olympic Games in Tacoma, WA. More information available soon! Head Coaches: To be announced. Softball season runs from June to August. The Wolfpack athletes practice weekly and various teams are available based on skill level. The teams have the chance to compete against regional competitors at the regional tournament in Tri-Cities, and state competitors in Everett, WA. Athletes learn the rules of the game, fundamentals of the game, and how to have fun and stay safe during hot summer practices and games! Bowling season runs from September to November. Athletes practice weekly for two hours at a local bowling alley, Valley Bowl. The Coaches focuses on technique, etiquette, and safety while allowing for an entertaining night of bowling with friends! The state bowling tournament is held in Spokane, which means lots of fans and easy travel to the tournament! 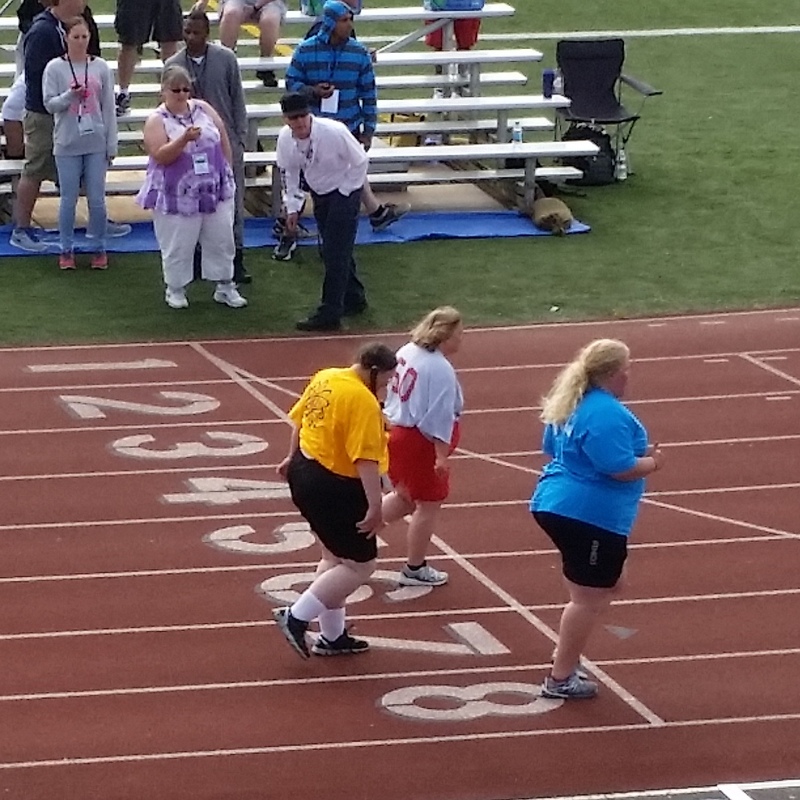 Bowling is one of the fastest growing Special Olympics sports. Although there are some modifications made for athletes with various abilities, most athletes compete under the same rules and circumstances as athletes on a professional tour. Bowling may not be an Olympic sport, but it is among the most popular sports in Special Olympics. It is a particularly beneficial sport to people with intellectual disabilities, irrespective of their age or sports abilities, since it ensures physical exercise and at the same time participation and social integration. FUN FACTS: Bowling is Special Olympics Washington’s largest sport, with over 4,170 athletes competing around the state!